Well, it’s a bit of a long read, but I promise to put a new thought in your head so you really feel that the reading is worth the effort. I think this will affect how you should think about making investments digitally going forward. Bare with me and I’ll try to explain and please excuse that my native language Swedish probably shines through from time to time. Let’s begin by the end of 2014. For my part something happened when I saw with what force the giant YouTube was beaten by Facebook when it came to video from commercial senders. 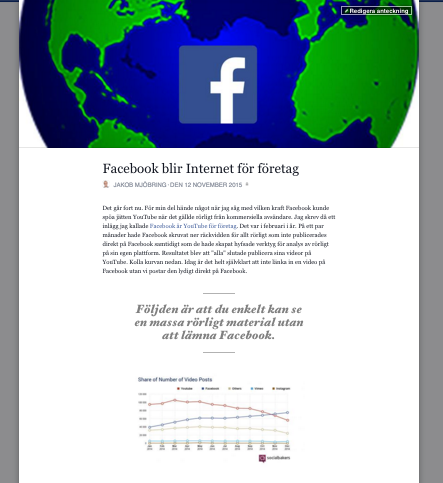 I wrote a post I called Facebook is YouTube for business (unfortunately in the very strange language Swedish). It was in February this year. 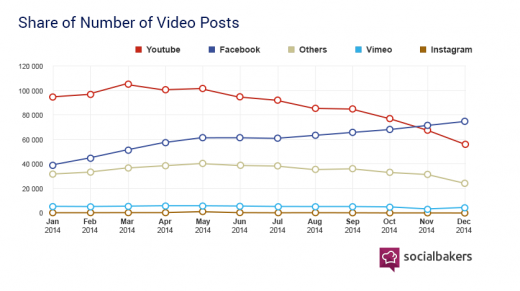 In a few months Facebook had decreased the reach of all videos not posted directly on Facebook. At the same time, they created decent tools for analysis of video postings on their own platform. You can see the result you see in the curve from Socialbakers below. Today it is completely obvious and nobody links a video out of Facebook. This is point number 1. 1) You can easily see a lot of videos without leaving Facebook. 2) You can read the news without leaving Facebook. The next step for this was Instant Articles. You probably have seen these. 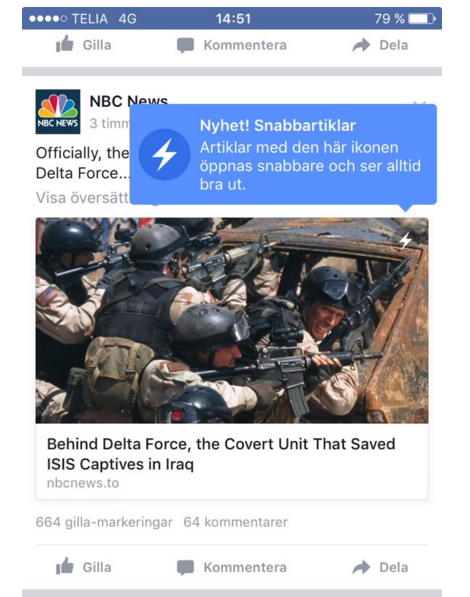 You can click on a news without leaving Facebook. Smooth reading and superfast loading. And not so surprisingly these articles is more read and shared than others, read Niemen Labs interview with Michael Reckhow, Product Manager for instant Articles on Facebook. 4) You can easily shop without leaving Facebook. Since the summer Facebook is testing a buy button in the US. And as they so well put it: “With this feature, people on desktop or mobile can click the “Buy” call-to-action button on ads and Page posts to purchase a product directly from a business, without leaving Facebook.” Very simple! 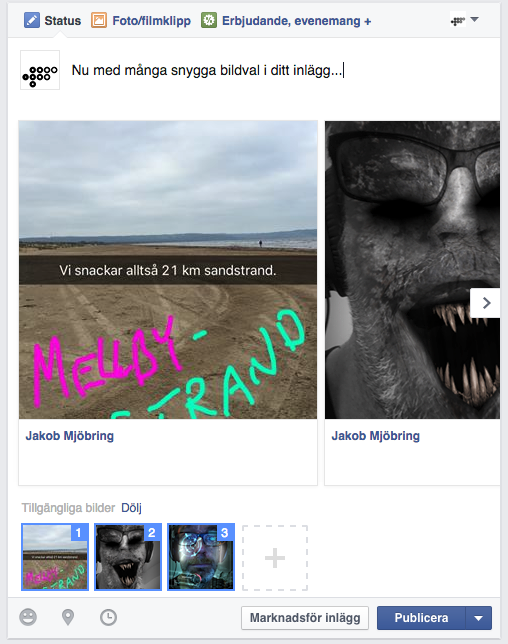 5) You can see more great images for each post without leaving Facebook. This news is a little more quiet one, but the usual posts of pages on Facebook have evolved considerably in recent times. 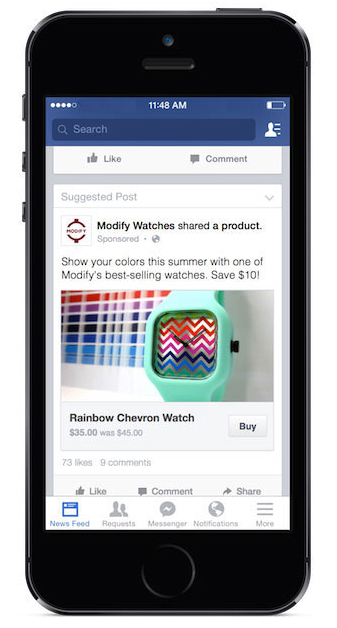 Something that began with an ad format that Facebook called Carousel has been rolled out to every Facebook Page. This means that we can immediately see more pictures of each post without leaving Facebook. How nice! 6) You can now also create longer (blog) posts without leaving Facebook. The next step is, however, more interesting and was kind of a eye opener for me. You can already see and test this feature, but only on your private Facebook profile. Go to your own profile. Click the “More” button at the top next to “Photos”, see below. Look up “Notes”. “Notes” is basically a neat blog feed. you can easily create a blog post that you can then publish your stream. I have heard several US business bloggers that has tested this and almost fell off the chair over the visibility and the large number of comments they have received compared to what they get on their own blogs. Read the End of blogging by Mitch Joel, and yes, it’s written in Notes on Facebook. If we add all this up and stops and think for a second. What happens when you as a page owner on Facebook get’s all of this tools? Why shouldn’t you publish all of your news, product catalogs, offers, contact information and news directly to Facebook? Everyone can see your posts and buy all your products without ever leaving Facebook. Incredibly smooth! And you can probably completely skip your own site and online store. And then it starts to get really interesting. Or frightening. For what happens when Facebook then decrease all reach for those who insist on publishing their post on their own site outside of Facebook? Then we are either in or out. And remember that we’re talking about the world’s largest platform that has more than one seventh of the world population as users. If I was in charge on Facebook I don’t think anything would have stopped me from doing exactly this. And basically everything is already in place. When Facebook opens “Notes” and “Instant Articles” and add a buy button to every owner of commercial Facebook Pages we are there. What if I super easily could create great looking posts and let people shop my products without leaving the world’s biggest platform. 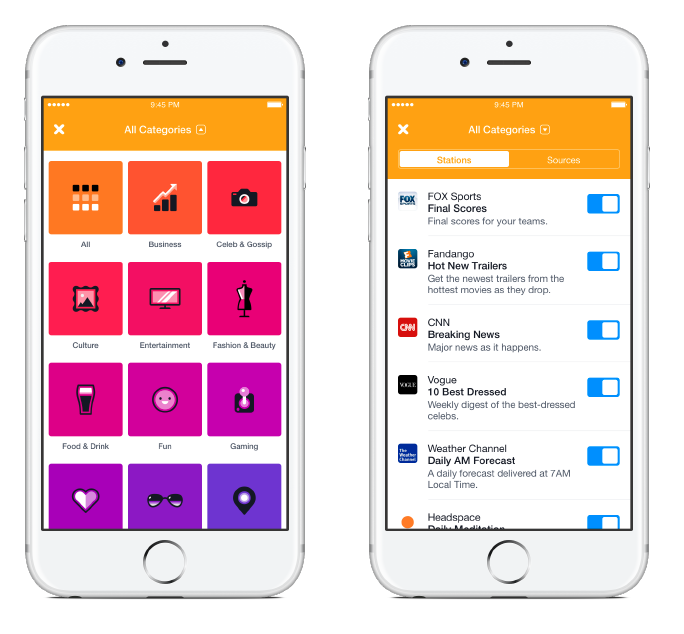 I was able to take advantage of all of Facebook’s recommendation features, advertising tools, analysis tools, push opportunities in the Notify and more. Sure it would have been quite nice? And then of course Facebook should decrease the reach of all fools that continued to link out from Facebook to their own site. 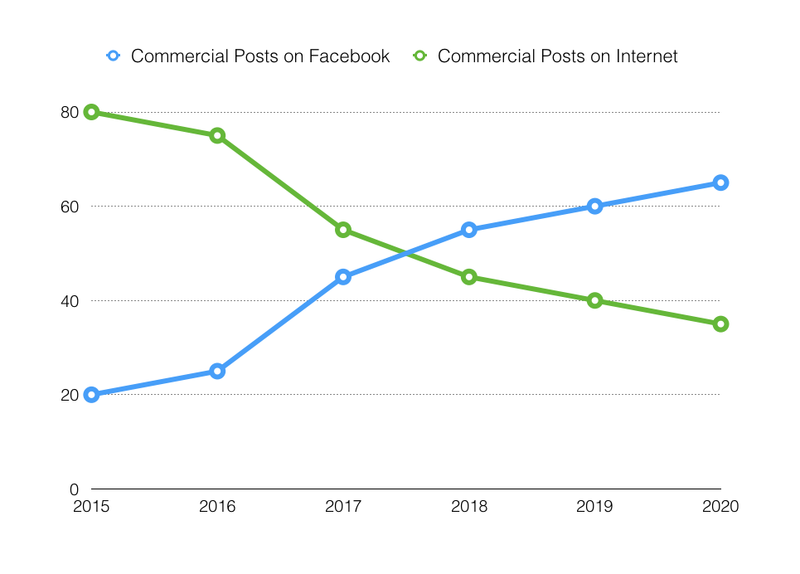 Will we see the same curve for all kinds of posts outside of Facebook as we saw with the video posts outside of Facebook? NOTE that the following diagram is obviously not is real statistics. Yet. Dare we summarize? What happens when the world’s biggest network turn down the reach of everything that is not published on that particular platform and at the same time makes it incredibly easy for anyone who chooses to publish there? I do not think I need to answer that. The question we still must ask ourselves is whether it is worthwhile to invest more in the online store, the site and the blog and working every single day with the search engine optimization and design and then try to find customers all over the Internet? What if we instead put all the investment to continually create really outstanding content and buy plenty of advertising on Facebook? I personally think the idea is both staggering and a bit unpleasant. Most uncomfortable is that the idea seems so obvious and inevitable. Why would Facebook not want to do everything possible to become the Internet for business? One objection is of course that everybody isn’t on Facebook. Totally true. And that makes it even more complicated. Google is working in much the same way; offering news directly in search, AdWords etc., but their lock-in effect is much weaker. Should we both have a website outside of Facebook to be accessed by Google’s users and inside of Facebook’s walls to reach all users on that plattform? I also read Christian Rudolph’s post about Google where he basically thinks as I do, but around Google. Google will take an increasing share of the pie and leave the Swedish media house with the left overs. Read Rudolph’s chronicle here (in Swedish). However, I think that Facebooks development pretty soon is going to make a hole lot of companies ask themselves the same question: when should I stop investing in digital activities outside of Facebook? / Jakob Mjöbring with the great Frida Selander song Jesus As A Girl in my ears.